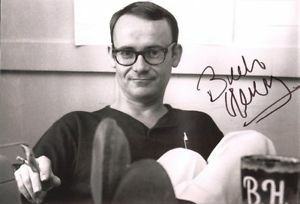 Get Smart co-creator and serial overachiever, Buck Henry, was Oscar-nominated for writing credits on The Graduate, directed the Academy Award winning Heaven Can Wait and acted in over 60 films and television series including The Man Who Fell to Earth, Catch-22 and 30 Rock. Henry was also the creator of an obscure 1960s comedy series that rode the camp superhero wave established at the time by Batman. Only 15 episodes were made of the curio known as Captain Nice, but its behind-the-scenes story is an extraordinary one. The premise of the show involved police chemist Carter Nash (played by William Daniels, who also voiced KITT in the 1980s series Knight Rider), a mild-mannered mummy’s boy who discovers a super serum that allows him to fight crime in an outfit resembling a onesie whipped up by Stephen Hawking. The real star though was Carter’s would-be girlfriend in the police department, meter maid Sgt Candy Kane, played by Paula Prentiss’ younger sister Ann. In what was an otherwise pretty vapid, albeit masterfully written, show Ann’s portrayal of Kane was a palpable pressure cooker of unrequited desire for Nash that bristled so manifestly it bordered on improper. Prentiss was a tour de force in a tour de farce. 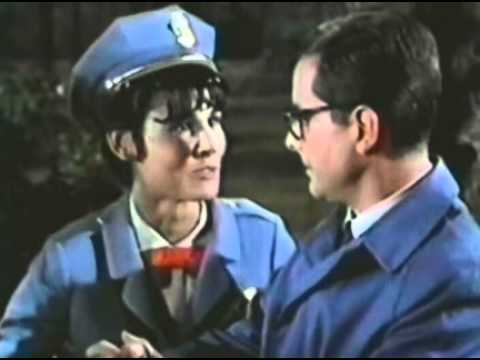 Sgt Kane was a go-getter with a level of sexual confidence that Barbara Feldon could only dream of, making Agent 99 sound to me like an exasperated, whining cheerleader by comparison. With the benefit of hindsight, the intensity Prentiss brought to her role goes some way to explaining how she ended her days in a Santa Monica prison serving 19 years for two attempted murders. 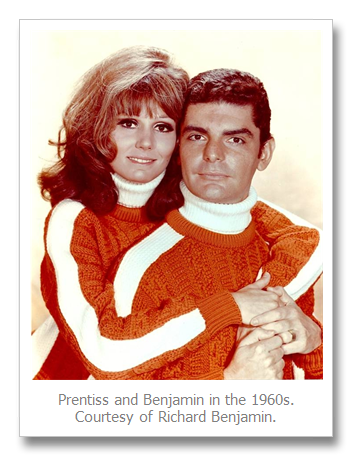 That they were directed at her 86 year-old father along with her brother-in-law, the esteemed actor and director Richard Benjamin (married to Paula), only made it more riveting. Before she died in 2010, I wrote to Ann Prentiss in prison. Her long sentence was perplexing to me given that ultimately nobody was hurt and that the courts also noted Ann was suffering from severe mental problems at the time of the attempts. Alas, little of the detail is to be found online and not entirely surprisingly, I never heard back from Prentiss. Regardless, I wanted her to know that I was a fan of her largely unheralded acting turn as Sgt Candy Kane. Who knows what Buck Henry made of it. He was never on record as saying. But I still like to think of Ann Prentiss as a class act … even if it was only within the confines of Captain Nice’s hilariously wobbly sets.